Pope Francis will be welcoming the Our Lady of Fatima statue from Portugal to the Vatican next month. He plans to use the occasion to consecrate the world in to the Immaculate Heart of Mary—as Pope John Paul II had done in 1984 and 2000—just as the Blessed Mother had requested in her 1917 apparition to three shepherd children at Fatima, Portugal in order to foster world peace. Indeed, with the crises in Syria and Egypt boiling and threatening to spillover to neighboring states, the looming crisis over Iran’s suspected nuclear weapons program, and Russia’s growing anti-western foreign policy stance and a more assertive role in the rapidly deteriorating Middle East, Pope Frances’ consecration to Our Lady of Fatima is urgently needed. While the Marian apparition at Fatima is widely and rightly acknowledged among Catholics for its heavenly offer of assistance to humanity, another and more recent apparition with an offer of another mighty weapon for the Church’s spiritual arsenal goes unused. Just as the Fatima apparitions occurred at the closing stages of World War I, other and just as significant apparitions occurred at the ending of World War II in Amsterdam, The Netherlands. Those apparitions had even more to say about the future of international politics than those at Fatima and were given by the Blessed Mother in some 56 appearances to a humble Dutch woman from 1945 to 1959. The apparitions after investigation and discernment were courageously declared in 2002 by the bishop of Amsterdam, Jozef Marianus Punt, as worthy of belief. Tragically, Bishop Punt’s declaration has been largely ignored by much of the Church hierarchy and the faithful. The Blessed Mother in the Amsterdam apparitions called herself “The Lady of All Nations” and warned of a coming age of “degeneration, disaster, and war.” But she offered help if Catholics would petition the Holy Father to proclaim the fifth and final Marian dogma with Mary as “advocate, mediatrix, and co-redemptrix.” That proclamation would be the capstone of the Church’s four “dogmas” or solemnly pronounced doctrines about the Virgin Mary. First, Mary is the Mother of God (Council of Ephesus, 431). Second, she is a Perpetual Virgin (Lateran Council, 649). Third, Mary was conceived without original sin, or her “Immaculate Conception” (Bl. Pius IX, 1854). And fourth, Mary was assumed body and soul into heaven, or her “Assumption” (Pius XII, 1950). Lord Jesus Christ, Son of the Father, send now your Spirit over the earth. Let the Holy Spirit live in the hearts of all nations, that they may be preserved from degeneration, disaster, and war. May the Lady of All Nations, the Blessed Virgin Mary, be our Advocate. Amen. When one takes a glance at the world stage today, one sees the world in a state of degeneration, disaster, a nd war just as the Lady of All Nations had warned in Amsterdam decades ago. She revealed, for example, that the world’s climate would drastically change long before anyone ever uttered the words “climate change” as we commonly do today. Climate change is now on pace to happen 10 times faster than any change recorded in the past 65 million years, according to a team of Stanford University professors. Meanwhile, societies are crumbling, economies are failing such as the European Union’s monetary experiment, political chaos and violence are increasing, especially in the Middle East where Syria has used chemical weapons against civilians, all of which seems to be tearing the world apart. Social scientists have impressively harnessed information technology to graphically show the growing frequency and intensity of turmoil, protests, and violence since 1979 in the world. All of these events conform to the warnings of those given by the Lady of All Nations in Amsterdam to prove the authenticity of the apparitions there. 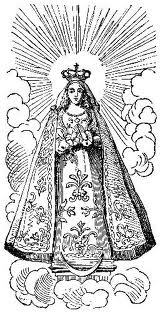 With the world’s descent into political, military, economic, environmental, and societal chaos, it behooves Catholics to contemplate the fifth Marian dogma as an unused weapon in the Church’s arsenal. The popes of Catholic Church, based on scripture and tradition, have officially taught over the course of centuries that the Virgin Mary, Mother of Jesus, is also the Spiritual Mother of All Peoples. Mary performs this role as spiritual mother to humanity in three basic ways: as advocate, mediatrix, and co-redemptrix. Our Lady’s role as advocate simply confirms that this mother intercedes for our wants and needs with a maternal perseverance and power beyond that of any of the other saints. Mary brings the needs of mankind to the throne of Christ. She is the principal intercessor on behalf of her earthly children, and as queen, she has the greatest possible intercessory power to Jesus, the king of the kingdom of God, for humanity’s needs. In the Old Testament, the queen mother of the king had the greatest power of intercession to her son, the king in the line of David, on behalf of the Jewish people. In the New Testament, Mary is the new queen mother who gives birth to the “king of kings,” and is crowned as the queen and advocate in the kingdom of God to become the greatest intercessor for the people of God to Christ the King. For this role of interceding for humanity, Mary is called the “advocate,” her most ancient title, dating back to the 2nd Century. Mary is the mediatrix for humanity who spiritually nourishes her earthly children by dispensing the graces of salvation. At the Wedding of Cana, Mary interceded to bring the graces of Jesus to all of humanity. She “mediated” or interceded to bring Jesus himself, the source of all graces, into the world. Mary too was appointed by Jesus himself at the climax of his redeeming sacrifice on the cross to become the spiritual mother of all peoples and to dispense to humanity heavenly graces when he said to Mary, “Behold, your son.” Jesus then told John, and all those who seek to become beloved disciples of Jesus, to “behold your Mother.” For these roles in dispensing the saving graces of Jesus to her earthly children, Mary is called the “mediatrix of all graces.” As Bl. John Paul II explained, “mediatrix is implicit in the term, mother.” The papal Magisterium of the last two centuries has consistently taught this Marian role as mediatrix of all graces, and Pope Benedict XVI Emeritus published this same title on 11 February 2013, the day he announced his resignation. Some readers at first glance of the proposed fifth dogma would understandably baulk at the concept of Mary as “co-redemptrix.” They might object that Mary was human while only her divine son Jesus could redeem humanity with his crucifixion. But taking a deeper look at the proposed dogma, one sees that it reinforces—and does not contradict— Church beliefs and teachings. Mary uniquely shared in the work of Jesus to redeem the human family, both by giving Jesus his body, the very instrument of redemption, and by suffering with Him at Calvary in a way unparalleled by another other creature. For this extraordinary role with Jesus in saving souls, Mary has been called the “co-redemptrix” in the Church since the 14th century. 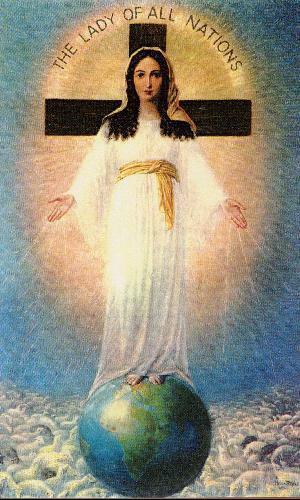 The prefix “co” means “with,” not “equal.” It must be stressed that Mary is not a goddess on a level or equality with Jesus, but rather she is the unique immaculate human co-redeemer with Jesus, just as every Christian is called to be a “co-redeemer in Christ,” as Bl. John Paul II was fond of saying. It is clear then that the recognition of the Blessed Mother as advocate, mediatrix, and co-redemptrix, has a long tradition in the Church even if it has not yet been proclaimed dogma. Likewise, the petitioning of the Holy Father for the declaration of dogma is a Church tradition. Petition drives for Marian dogmas are simply Catholic precedence. They are not democratic power plays seeking to force the Pope’s hand. Instead, petition drives are to be seen as manifestations of the sensus fidelium (the “common consensus of the faithful”) in encouraging the Holy Father to a particular course of action which the faithful discern to be for the good of the Church. Authentic Catholic petition drives must be a request of something that conforms to the faith and moral teachings of the Church and must be submitted with an unconditional obedience to the ultimate discernment and decision of the Vicar of Christ. The Marian dogmas of her Immaculate Conception and her Assumption, for example, were solemnly proclaimed only after a lengthy petition drive from the Catholic faithful to the Holy Father. Before the papal definition of the Immaculate Conception by Blessed Pius IX in 1854, millions of petitions from the Catholic world were sent to the Vatican, with particular perseverance coming from Spain and its Catholic government. In the case of the Assumption, infallibly declared by Pius XII in 1950, over 8 million petitions spanning 95 years were documented by the Holy Office in support of this Marian dogma. History shows that graces have been poured on the Church after Marian dogmas are proclaimed. The historic situation of the papacy and the Church was bleak, for example, just before the proclamation of the Immaculate Conception. Pope Pius IX had been chased out of the Vatican by Masonic forces from southern Italy. While in exile in Gaeta, two cardinals approached the beleaguered Holy Father with the remedy to this dire situation: proclaim the dogma of the Immaculate Conception. Pius IX acquiesced to their request and from exile wrote to the world’s bishops to state his intention to proclaim the new Marian dogma. The dogma was proclaimed, the papacy was restored, the Vatican and Church were secured, and the Marian dogma of the Immaculate Conception was subsequently declared infallible by the Holy Father. The proclamation of the fifth Marian dogma would satisfy God’s condition of never forcing grace upon us. The Holy Father’s free acknowledgement and solemn announcement of Mary’s roles as advocate, mediatrix, and co-redemptrix would allow her to fully enact these motherly roles of intercession on behalf of humanity. Since Mary’s motherly titles also are her motherly functions of grace for the Church, the more solemnly we acknowledge these motherly roles, the more powerfully she can exercise them. 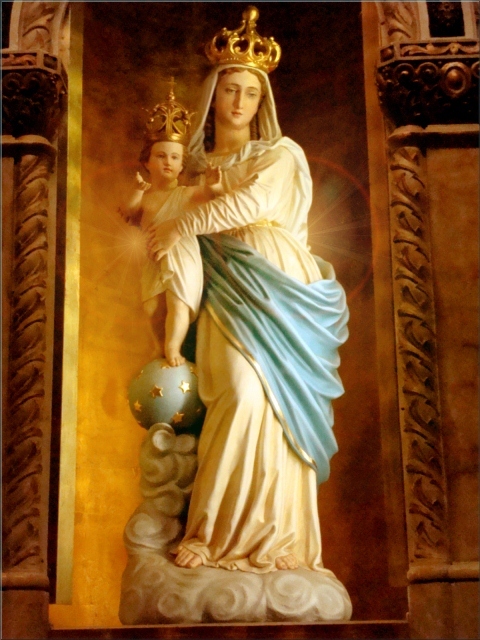 If these roles were to be infallibly proclaimed by the Holy Father as the highest authority of the world, this proclamation would inextricably lead to the fullest possible release of heavenly graces through our Blessed Mother. The proclamation of the dogma of Mary “Advocate, Mediatrix, and Co-redemptrix” by the Holy Father would enable the Mother of Jesus to shower the world with a historic outpouring of grace, redemption, and peace in a new and dynamic way—an event which Marian apparitions like Fatima refer to as the “Triumph of the Immaculate Heart of Mary.” Pope Francis has been on a blessed tirade of Marian teaching and witness starting with his very first papal act going to St. Mary Major’s Basilica in Rome to thank and honor Our Lady, to his return visit there in early Mary, and to his request to have his papacy consecrated to Our Lady of Fatima on 13 May. The Holy Father will be wielding a powerful spiritual weapon in one hand in October when he consecrates in the world to Our Lady of Fatima. We hope and pray that Pope Francis will soon pick up with his other hand the spiritual weapon the Lady of All Nations offered the Church in Amsterdam by proclaiming the fifth and final Marian dogma. The Holy Father and the Holy Catholic Church will need the weapons of both Fatima and Amsterdam to combat the onslaught of evil as evidenced by the world’s heavier, intensifying, and quickening degeneration, disaster, and war. Dr. Mark Miravalle is Professor of Theology and Mariology at Franciscan University of Steubenville. He is the author of Meet Mary: Getting To Know The Mother of God among numerous other books pertaining to Mariology. Along with his international travels, he has appeared on radio, television, and a number of conferences. Richard L. Russell, a Catholic convert, holds a Ph.D. in Foreign Affairs from the University of Virginia and specializes in foreign policy and international security. He is the author of three books: Sharpening Strategic Intelligence (Cambridge University Press); Weapons Proliferation and War in the Greater Middle East (Routledge); and, George F. Kennan’s Strategic Thought (Praeger).